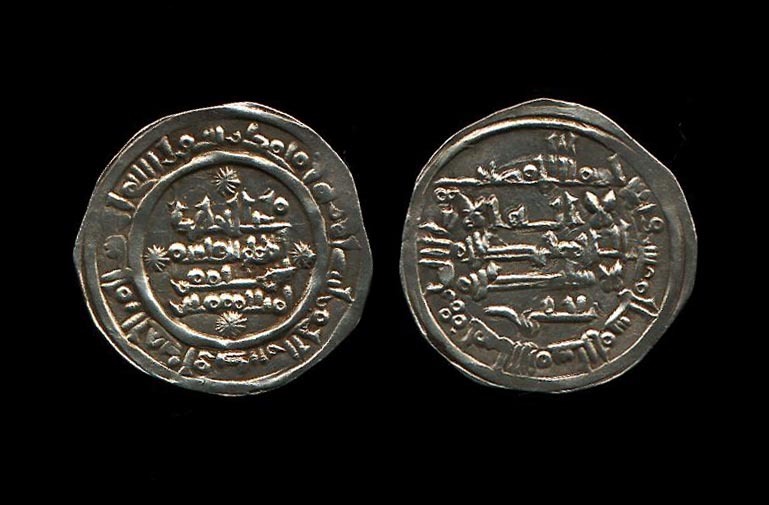 Prieto supplement n�41, this coin. 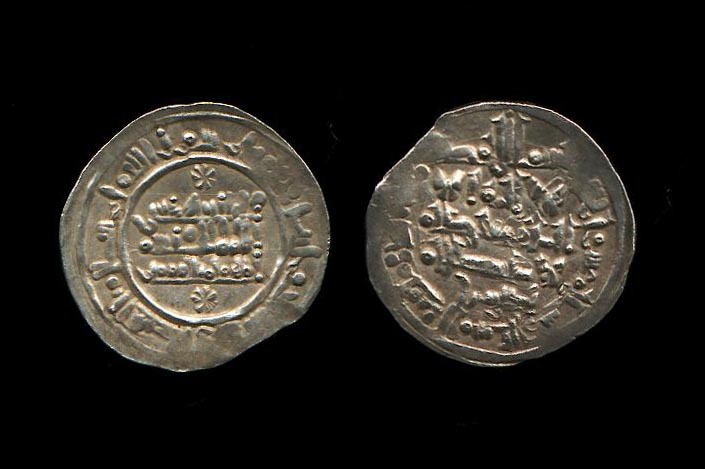 Ceuta 53, pl.V, this coin. 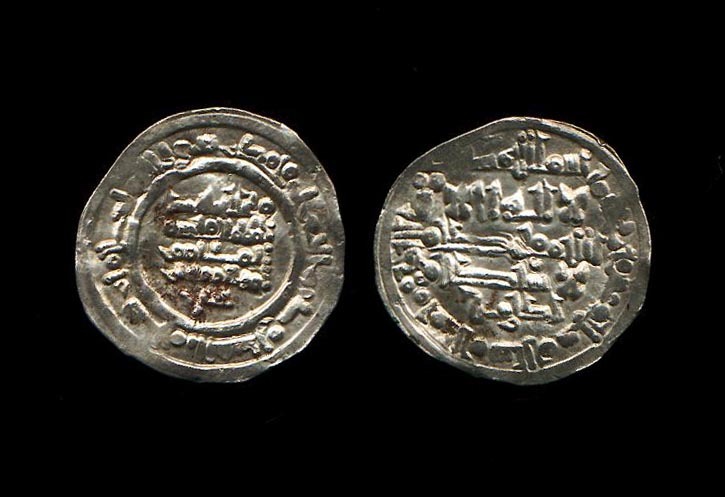 Ceuta 54, pl.V, this coin. 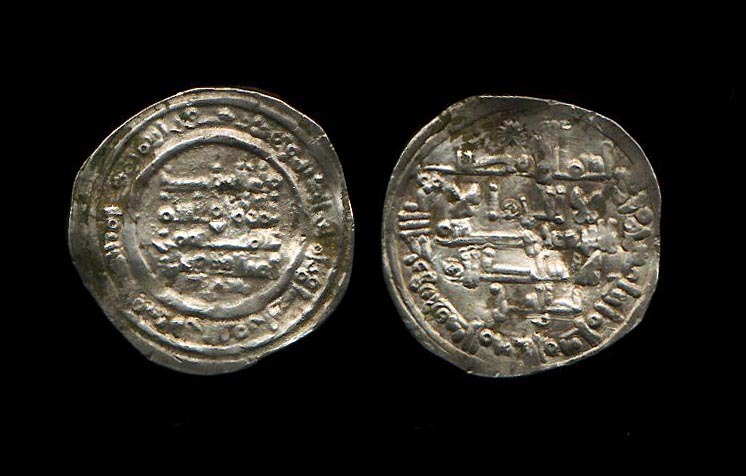 Ceuta 56, pl.V, this coin. 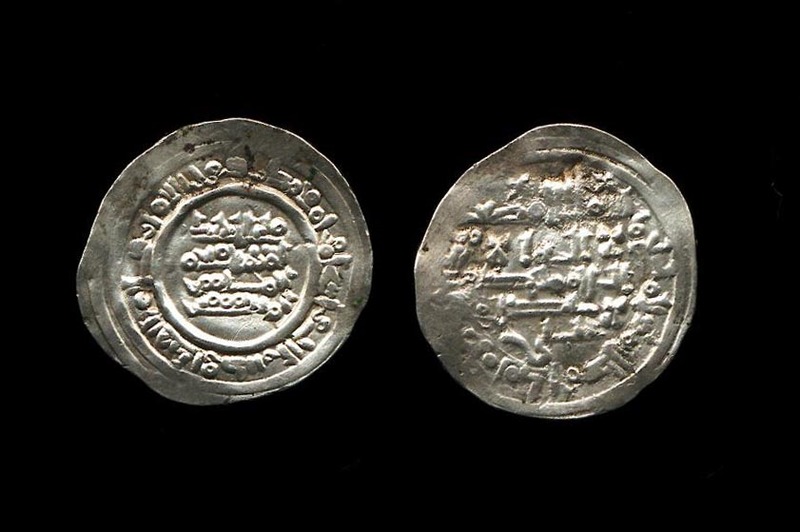 Ceuta 60, pl.V, this coin. 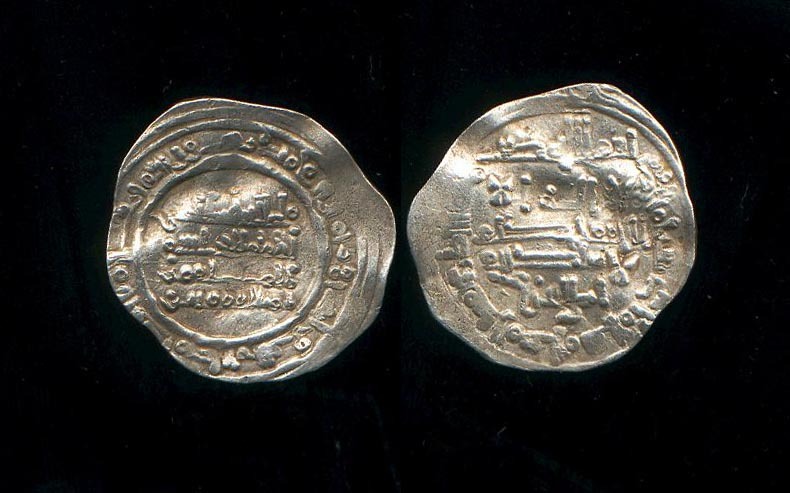 Ceuta 59, pl.V, this coin. 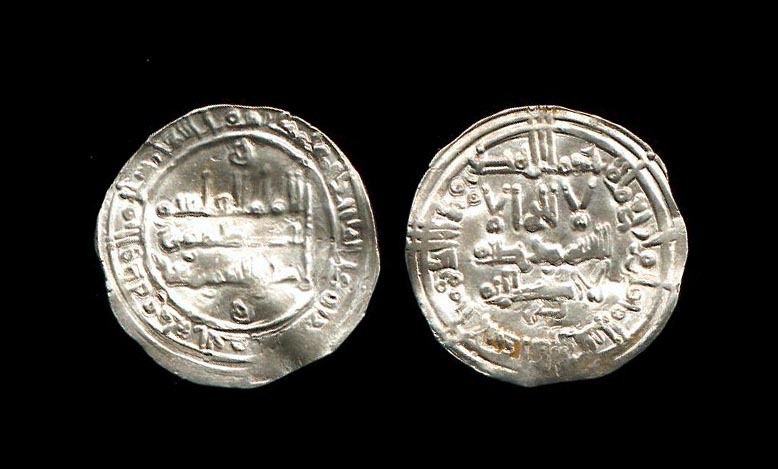 Ceuta 61, pl.V, this coin. 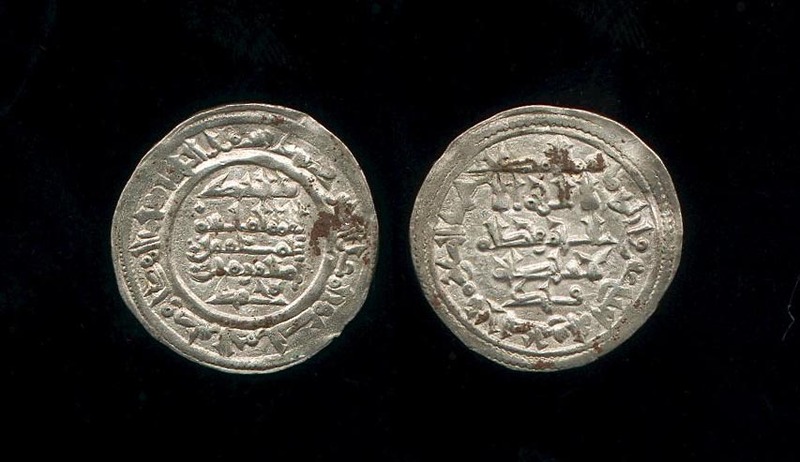 Ceuta 62, pl.V, this coin. 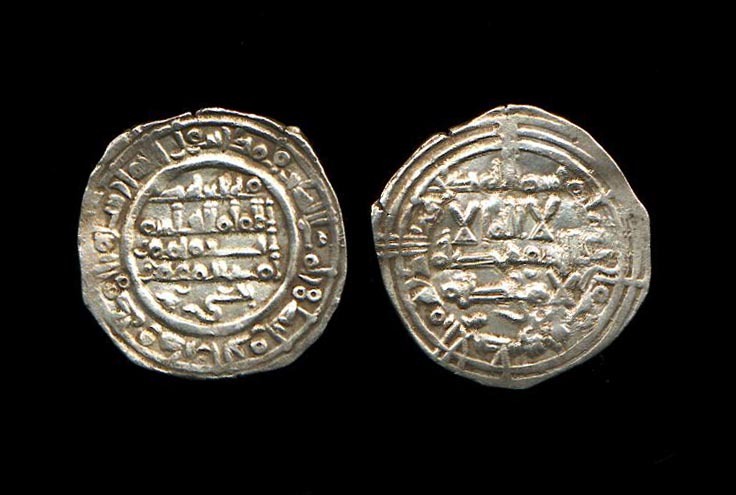 Ceuta 65, pl.VI, this coin. 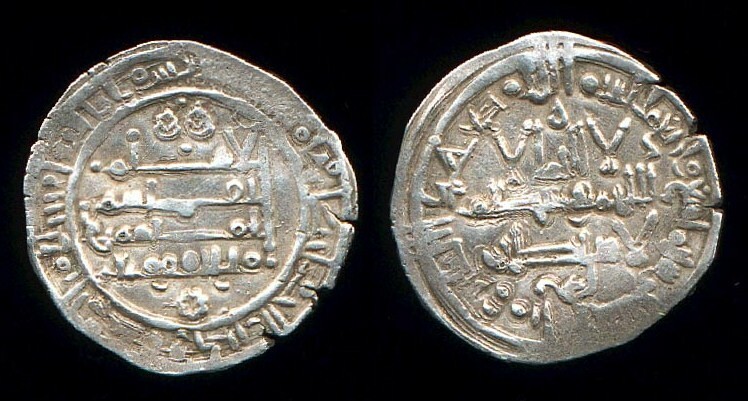 Ceuta 67, pl.VI, this coin. 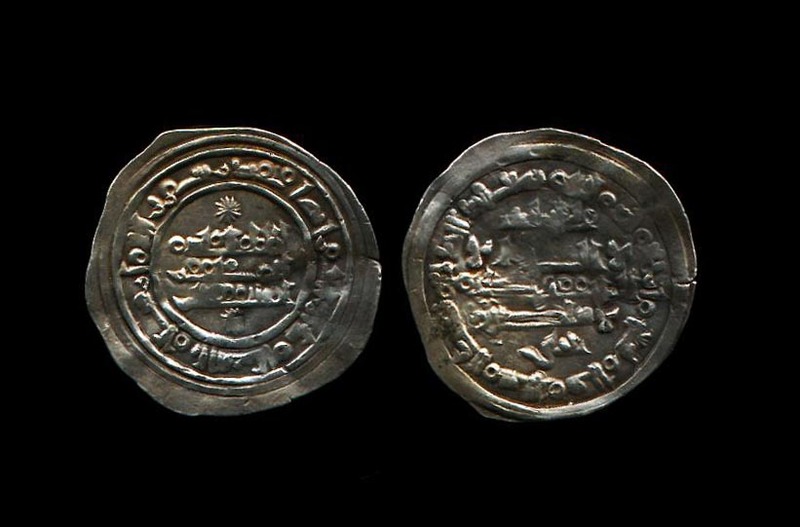 Ceuta 80, pl. 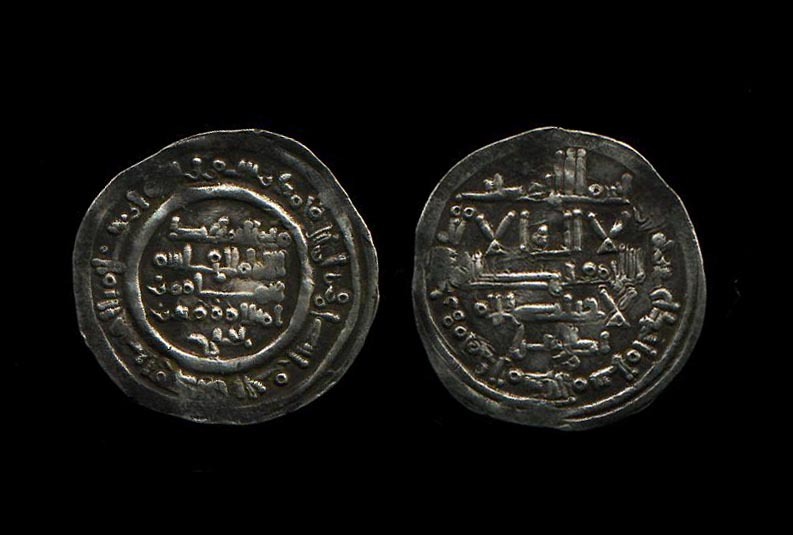 VII, this coin. 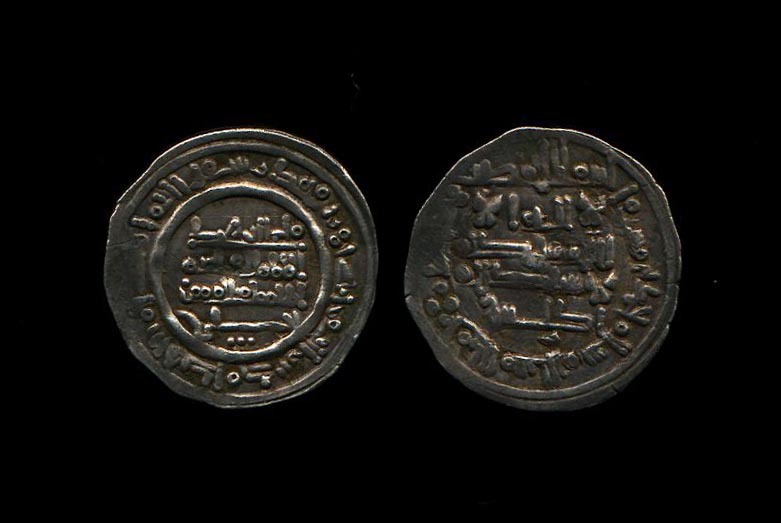 The following coins and the previous dinar of 414 H are of interest in that they do not name Yahya as successor of al-Qasim. 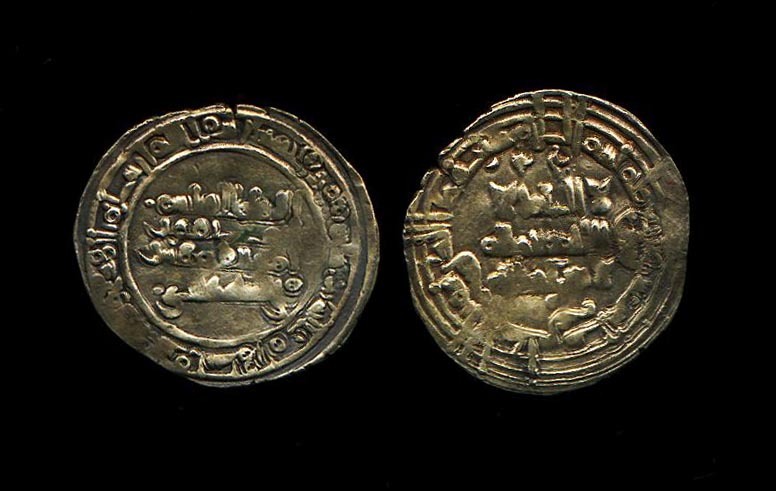 Actually Yahya rebelled against his uncle in the year 412H and these coins must hasve been struck after. 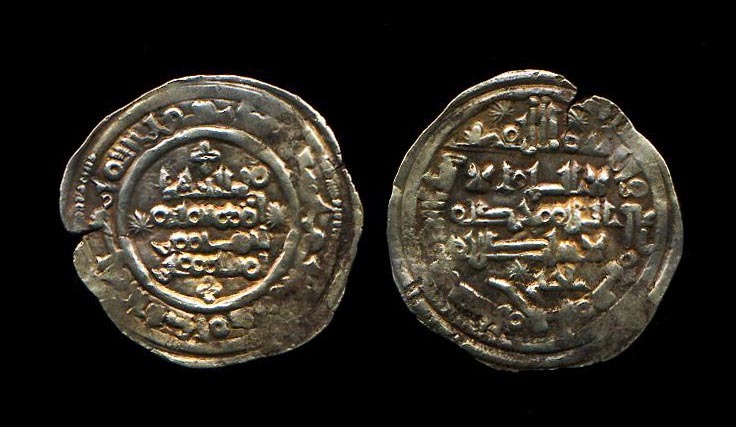 The first coin bellow has no name on reverse, while the second simply has Hasan on and the third names as successor one Muhammad. 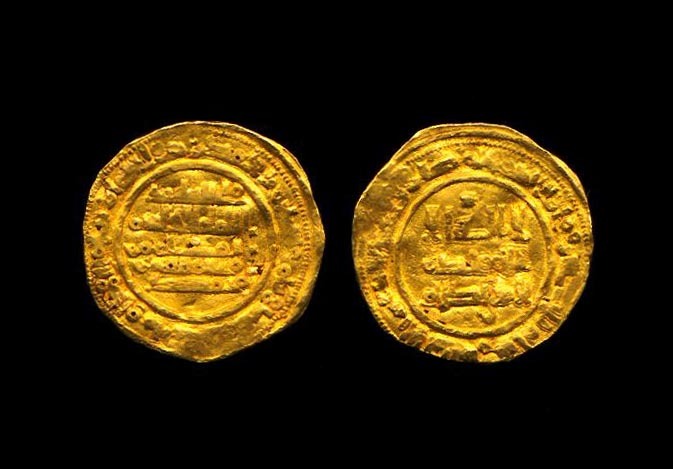 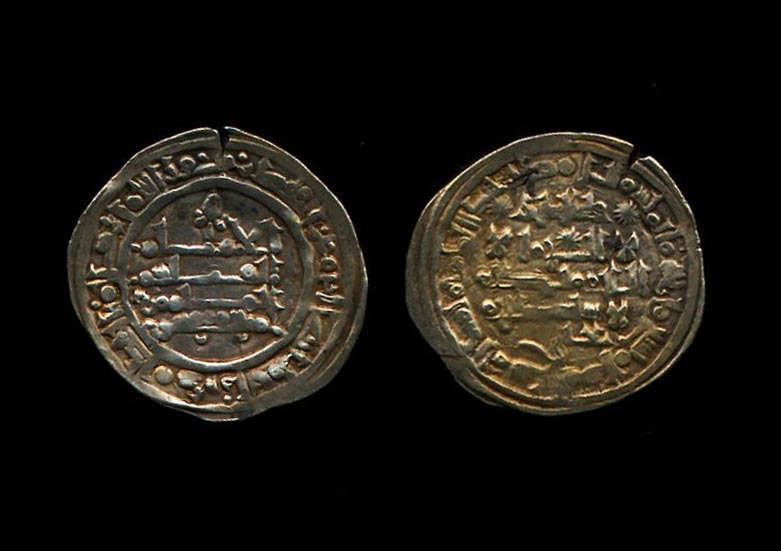 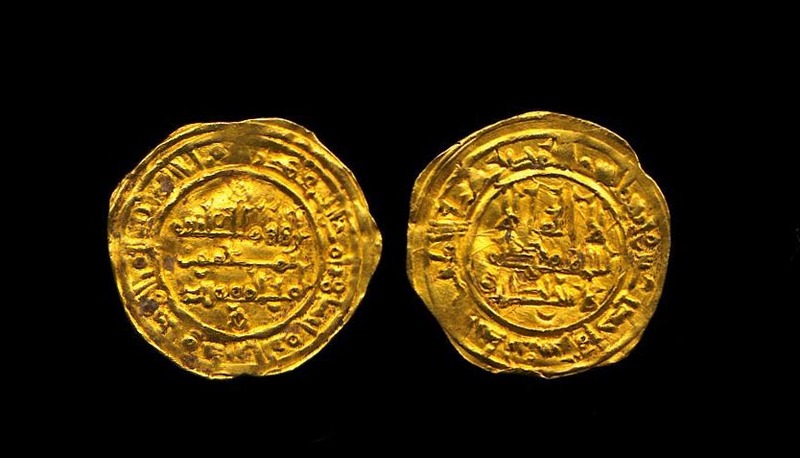 Al Qasim was known to have had two sons, one Hasan and the other Muhammad and must be they who are respectively cited in the previous two coins. 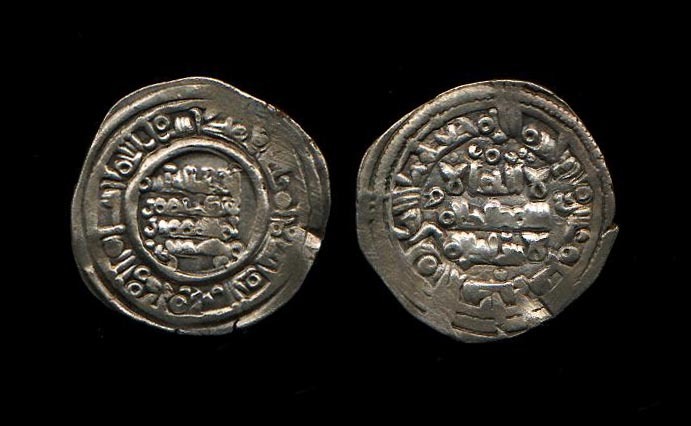 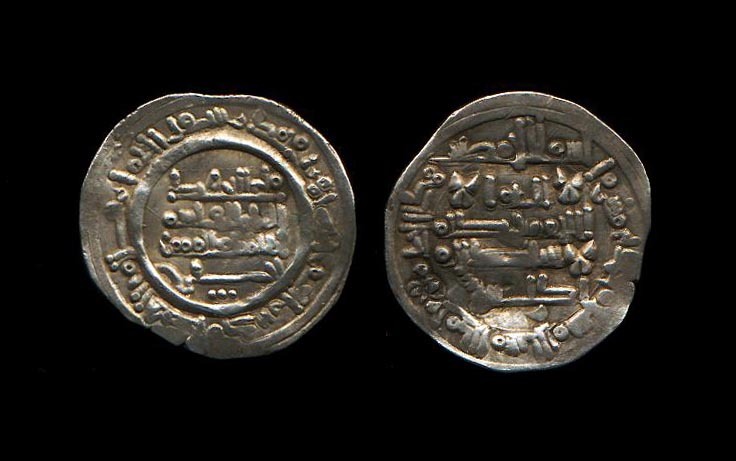 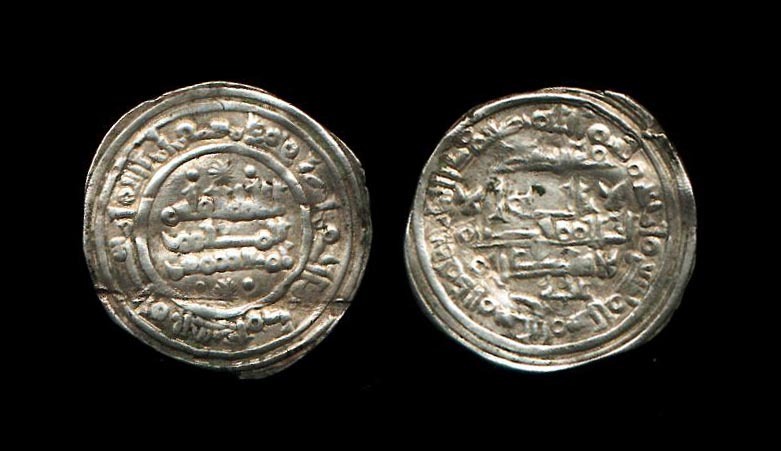 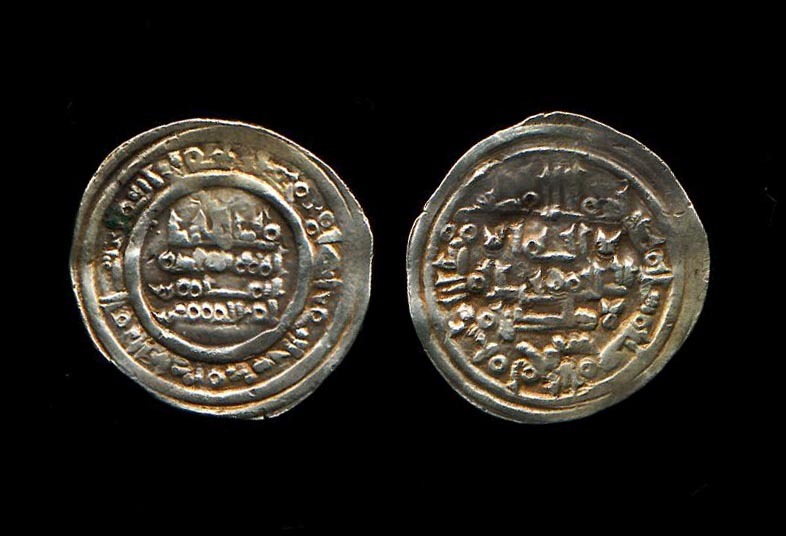 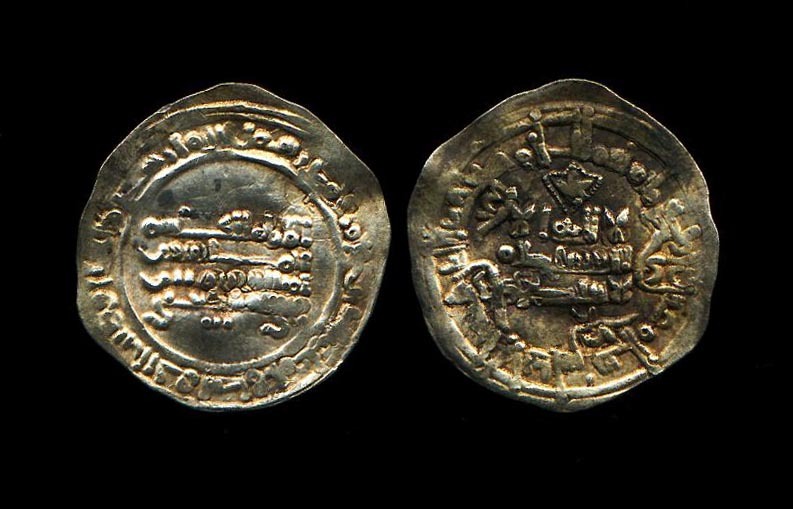 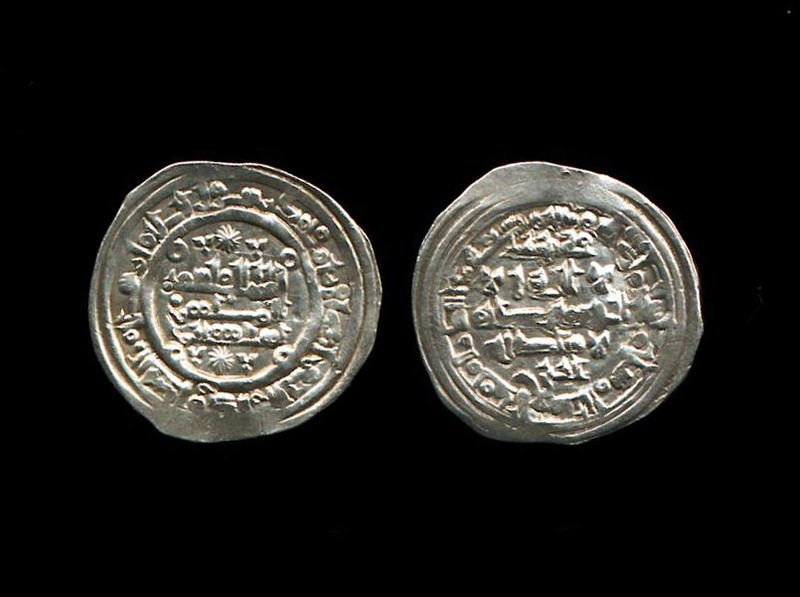 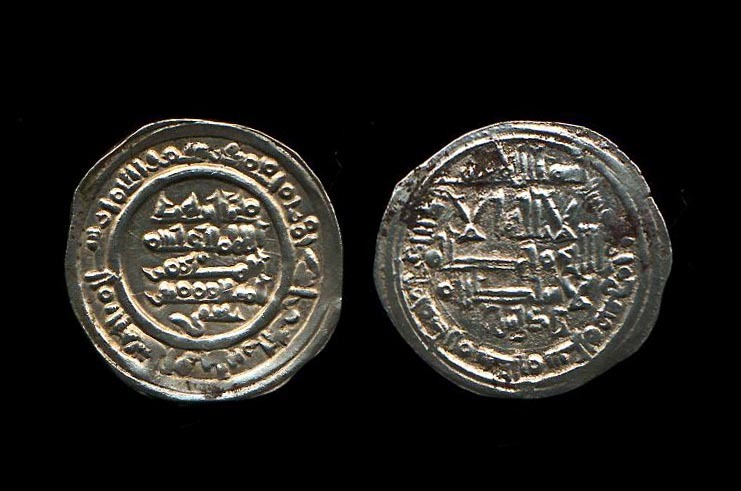 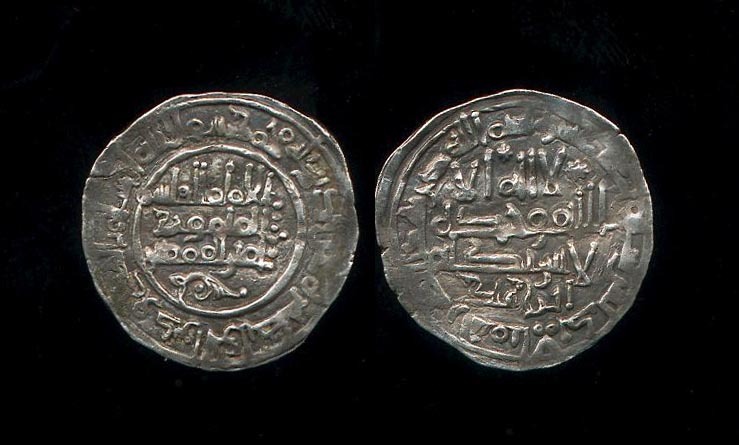 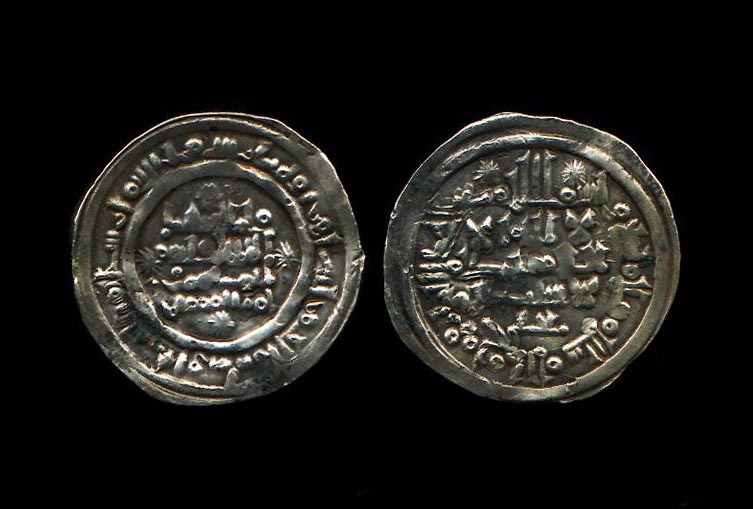 There is no evidence in the chronicles that al-Qasim ever recognized Yahya as his successor, so it is more than probable that the coins with such a mention struck in Sabta or al-Andalus were all struck by Yahya who directly controlled Sabta and Malaga ( this last through his brother Idris ). 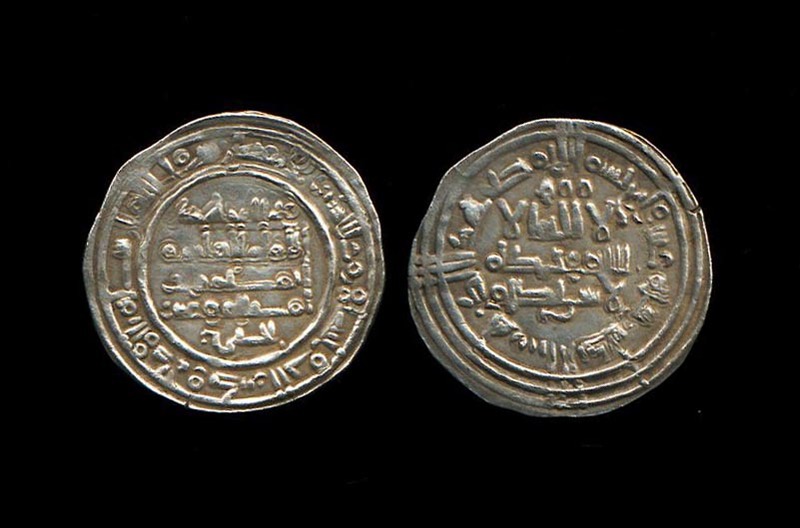 So the coins of 408H. 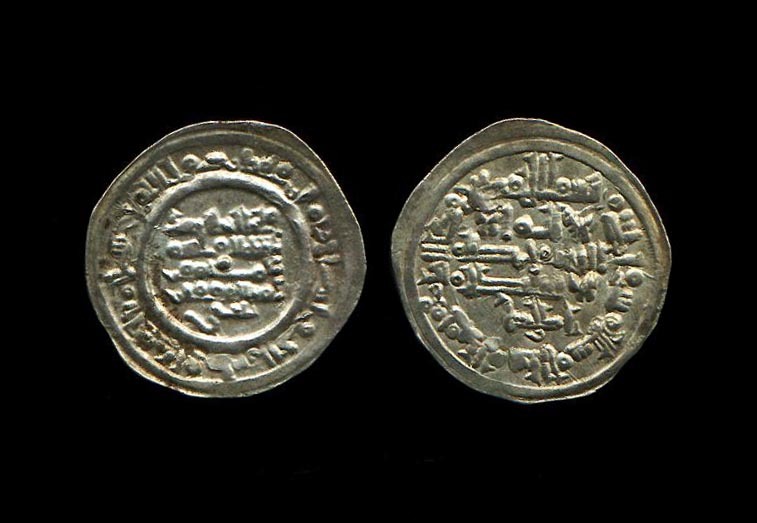 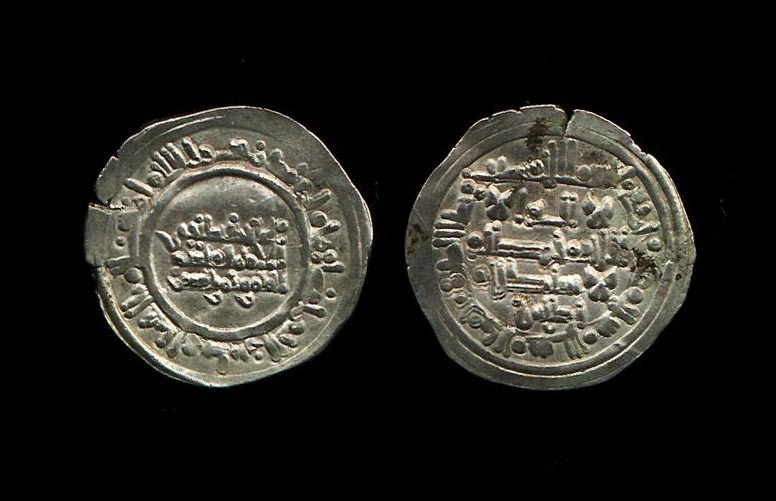 and the coins similar to the ones mentioned above are the only ones that were, probably, struck by al-Qasim himself. 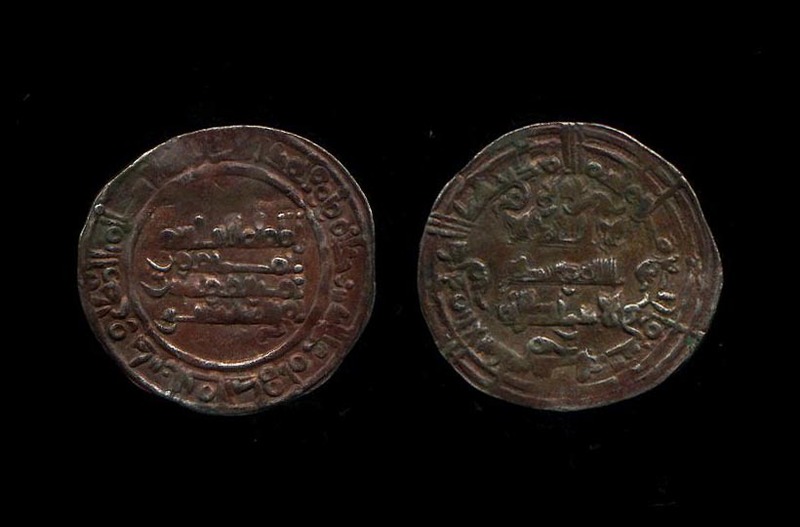 The name Kind or Kund found on the obverse could very well be a Cordoba official as Wasserstain ( 1993) has suggested, though the appearance of Kund and ibn Kund on coins of the same year does not support his speculation (pg 175) that they might be father and son. 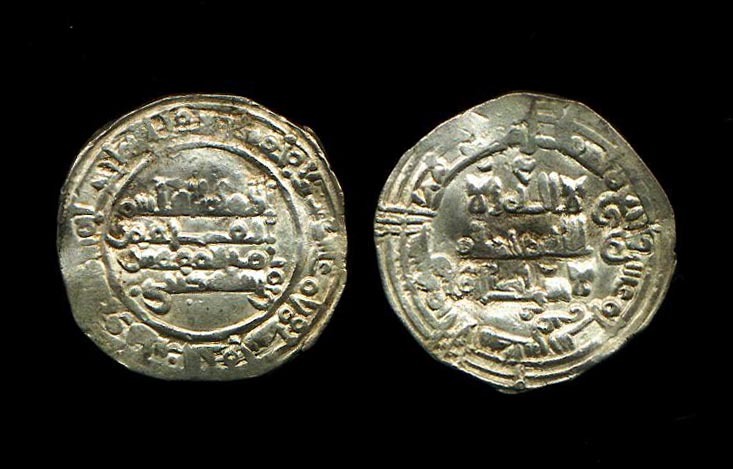 Prieto supplement n�43, this coin. 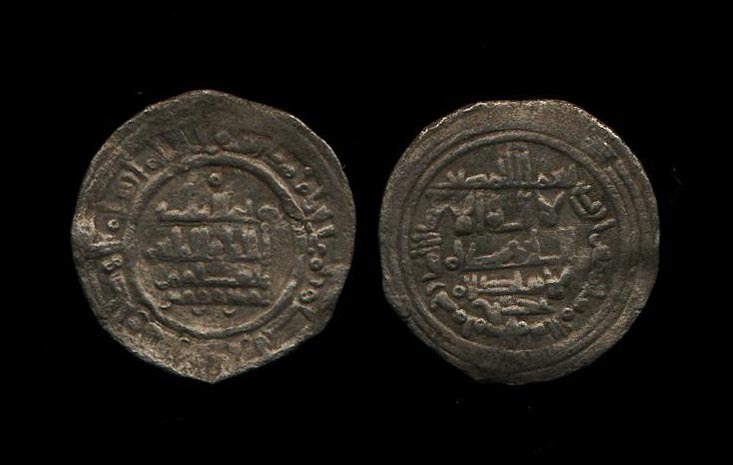 With Muhammad as successor in II.A.